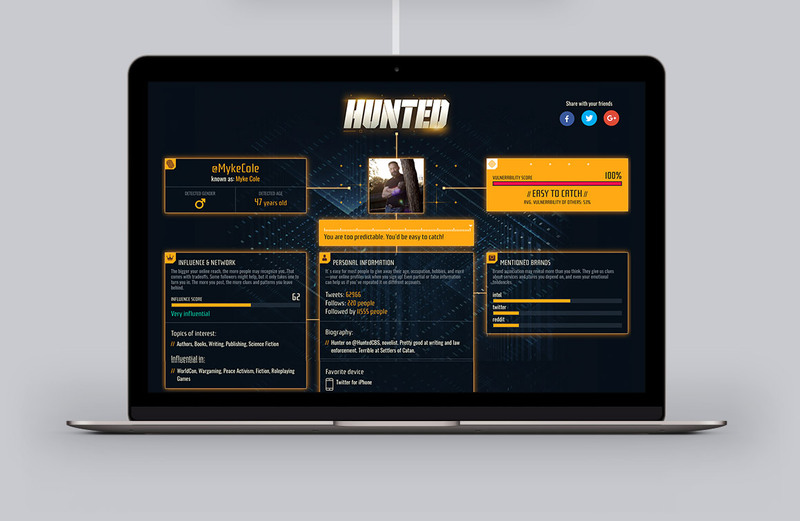 Design and CSS integration of a responsive dashboard and Twitter cards. 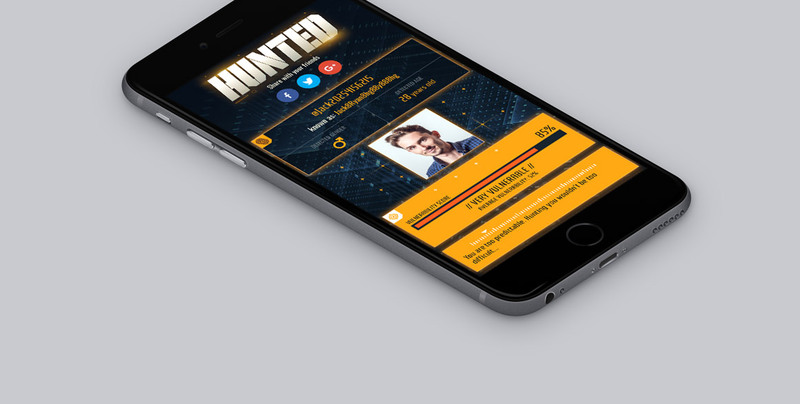 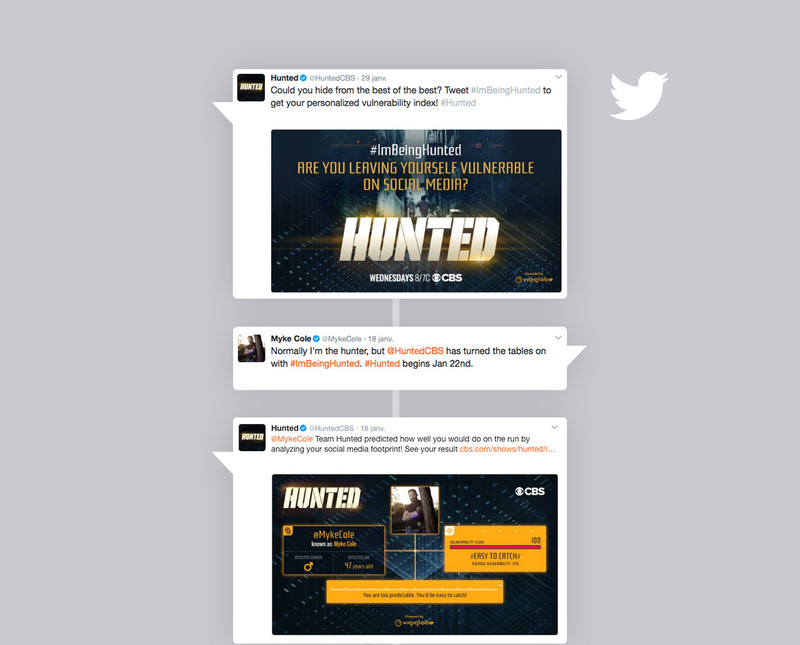 For the launch of a program based on human hunting, the TV channel wanted to set up a Twitter event allowing the Twittos to know their vulnerability index online (would you be catched quickly?) 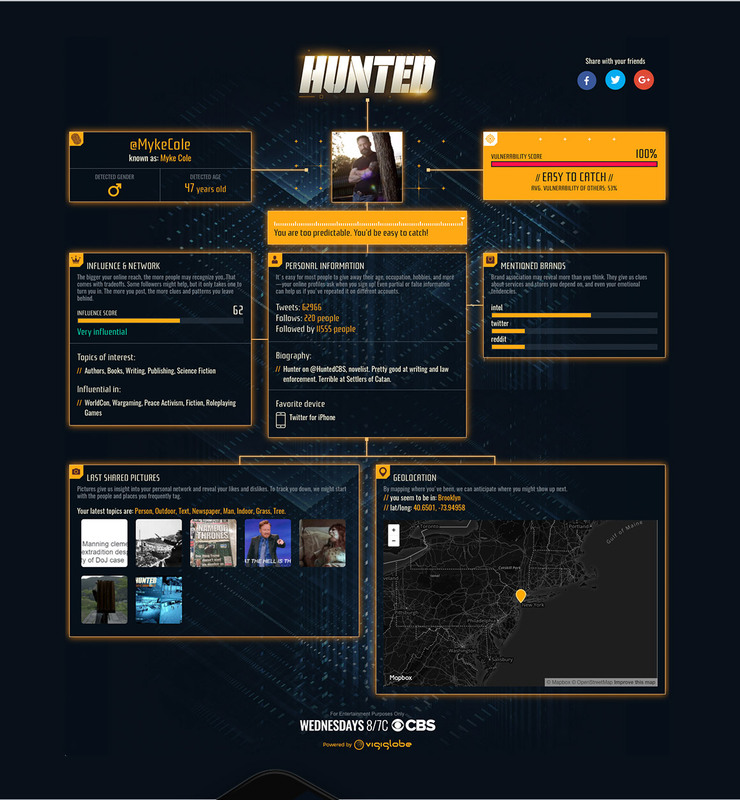 according to the clues (pics, places) they left on social networks.